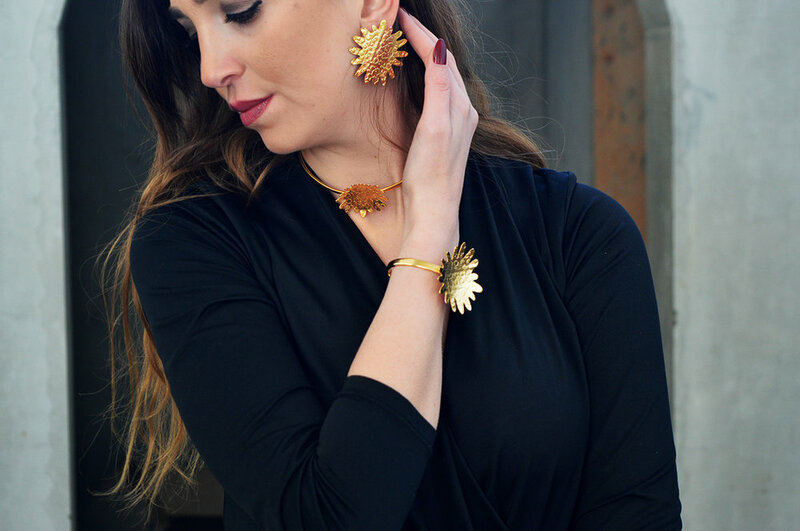 Coline Designs’ Concept Creator and Founder, Pauline Jabr transformed her passion for fashion jewelry into creating conceptual unique accessories and establishing her own label in 2010. It all started when she, as a designer, wanted to express and communicate positive and inspirational messages through fashion accessories. Pauline aims at creating fashion pieces with statement, accessories with character. She starts with the concept creation, the story behind every collection while finding inspiration in every day’s elements of life. Coline Designs collections integrate different materials and colour techniques, including gold plated pure brass materials, along with fabric and others; with an utmost attention to detail.